Tim Hunt on women scientists: Nobel Laureates say the dumbest things. 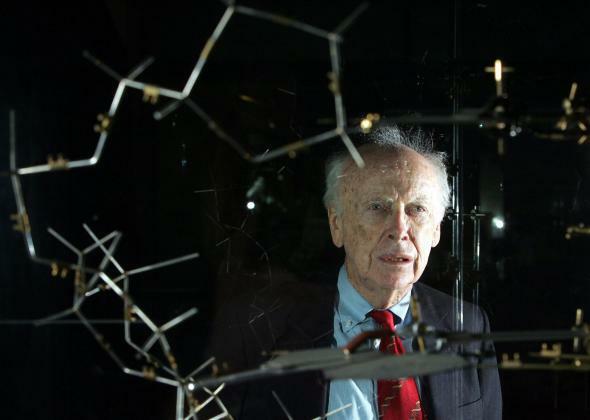 James Watson poses with the original DNA model ahead of a May 2005 press conference at the Science Museum in London. Still, Hunt is hardly the first eminent scientist to say something incredibly stupid—in fact, some make Hunt’s comments look positively tame. Here, in no particular order, is a short and not-at-all-definitive list of other Nobel laureates saying boneheaded things. Because even geniuses can be idiots sometimes.